Why Queen’s Surf Beach for Hawaii Five-O Premiere? Hawaii Five-O could hold its annual red-carpet premiere anywhere, so why choose Queen’s Surf Beach? Besides the oversized, outdoor screen already in place for the weekly Sunset on the Beach events, the venue has a rich history, lots of space, and captures the spirit of Waikiki. The area was actually named after Queen Liliuokalani because her beach house and its pier used to stand there. 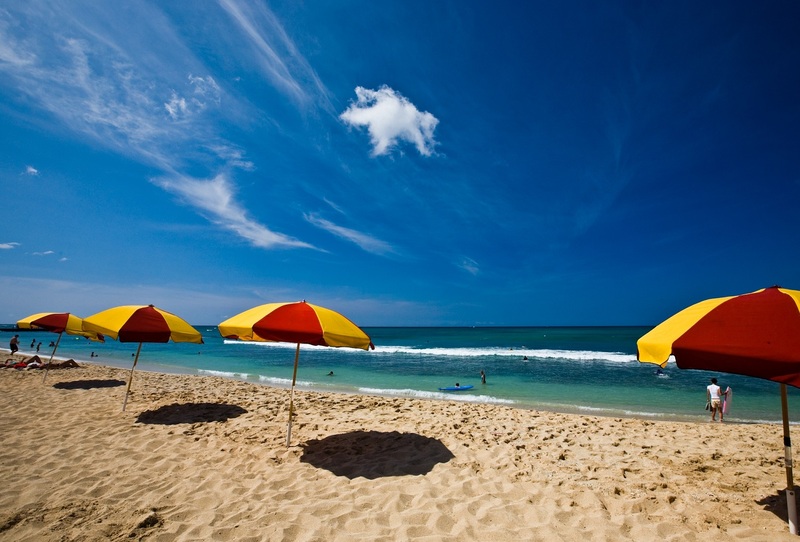 In fact, Queen’s Surf Beach is located right in Waikiki and is actually a section of Waikiki Beach. It is located between the Kapahulu Groin on its west end and the WaikikiAquarium on its east end. It’s right across the street from the Honolulu Zoo, too, which helps with overflow parking. One of the benefits to hosting the Hawaii Five-O premiere at Queen's Surf Beach is the amount of open space available for crowds. Queen’s Surf Beach has an abundance of great surf spots for bodyboarders. The Kapahulu Groin was built in 1951 and surfers named it The Wall, or in short Walls. Walls is also the name of the nearby surf break, which is reserved exclusively for bodyboarders (no surfboards are allowed within 150 yards of it and the area is marked by buoys). Another popular big-wave surf spot, named Cunha’s, is located straight out from The Wall. Queen’s Surf Beach is also a great spot for snorkelers. There is a reef in front of the Waikiki Aquarium where snorkeling is good when the water is calm. 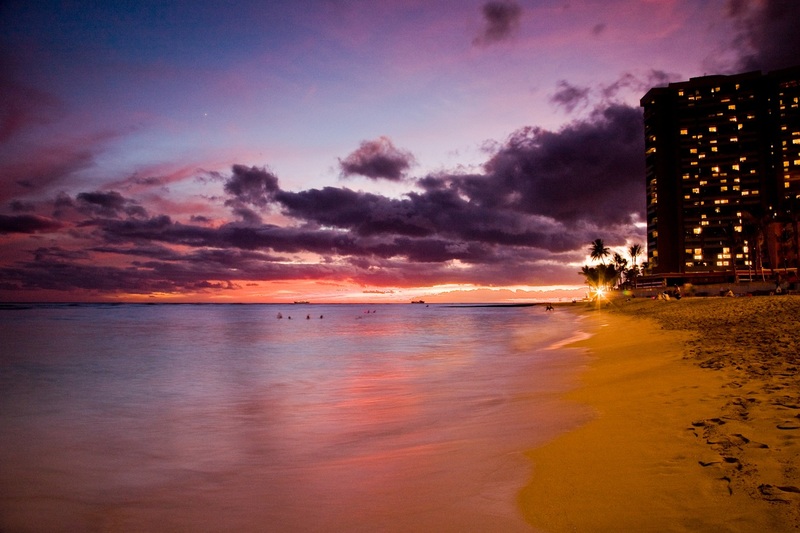 This is what Waikiki Beach looks like at night-perfect for a T.V. show premiere! In the park near The Wall is a bronze sculpture, which was dedicated by the City and County of Honolulu in 2003. Designed by artist Robert Pashby, It’s called “Surfer on a Wave” and it is a monument to surfing in Waikiki. The Kapahulu Groin also marks the western boundary of the Waikiki Marine Life Conservation District, which goes all the way from the Groin east to the War Memorial Natatorium. In this area, fishing and removing marine life is prohibited. In short, Queen’s Surf Beach is the ultimate location for a sunset beach party celebrating Season Six of Hawaii Five-O. With outdoor space, cultural significance, and lots of great recreation, the cast and crew are fortunate to have such an incredible venue for their party!